Tickets for the first-ever PAX convention focused on tabletop games are available now. The folks over at Penny Arcade just keep adding conventions to their list. 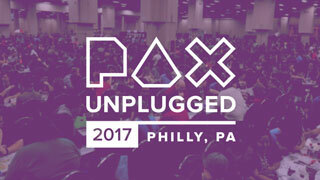 As announced back in MONTH, PAX Unplugged will kick off this year in Philadelphia on November 17, and run through November 19. The new show is focused on board games, tabletop games, and card games of all sorts. Badges went on sale yesterday. A three-day pass for Friday, Saturday, and Sunday will run you $60, or you can purchase a single day pass for $25. Sunday is Kids Day, and you can get your 6-12 year old a pass for just $10. Additionally, you can pre-purchase the PAX Unplugged scarf or Pin Trading Set for $30 and $25, respectively. There was a PAX Unplugged Dice Set, but that has already sold out. If you want to attend, you can head over to the PAX Unplugged website and order your badge. While there are still passes for all three days, PAX shows tend to sell out, so I wouldn't recommend waiting too long.